For his first movie since 2009’s Surrogates, director Jonathan Mostow returns with 2017’s direct-to-video The Hunter’s Prayer. 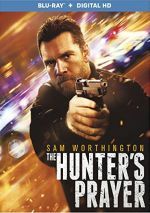 Paid assassin Lucas (Sam Worthington) gets the assignment to kill a young woman named Ella Hatto (Odeya Rush). However, when confronted with the job, Lucas loses his nerve and decides not to pull the trigger. Instead, he chooses to help her avenge deaths within her family, a decision that brings both into the crosshairs of various enemies. If one hopes to find an original thriller from Prayer, one will encounter disappointment. We’ve gotten scores of this kind of “lone protector” movies over the decades, and this one fails to find a creative way to exploit that theme. That said, film’s don’t need to offer total freshness to entertain, so the lack of innovation from Prayer doesn’t mean it must flop. A well-staged action tale of this sort could deliver an exciting experience. Which Prayer manages to do on occasion – kinda sorta maybe. At times, the movie comes with reasonably dynamic action scenes, so it churns some drama out of its well-worn premise on occasion. Unfortunately, the movie never threatens to dig any deeper than that. Prayer comes with stale, predictable characters who behave in cliché ways, so the film fails to generate much real intrigue from its roles or situations. The actors seem competent and no better – though that feels like a step up for the often lackluster Worthington. While he usually fails to bring much personality to his roles, he does pretty well as Lucas and adds more spark than I expected. Worthington and the others flesh out their characters in a satisfying manner – if only those roles showed much life. The Hunter’s Prayer does enough as an action-thriller to maintain our attention, but it can’t turn into anything especially memorable. It’s a watchable flick and nothing more. The Hunter’s Prayer appears in an aspect ratio of approximately 2.39:1 on this Blu-ray Disc. The image looked pretty positive. Sharpness seemed good. Little to no softness appeared, so the movie usually appeared tight and concise. Blacks came across as dark and dense, while shadows were erratic. Interiors looked fine but nighttime exteriors tended to be too dark. Despite those issues, this became a generally fine presentation. Also impressive, the DTS-HD MA 5.1 soundtrack of Prayer proved to be involving. The movie offered good general atmosphere and use of music through the whole tale, and it kicked into higher gear well when necessary. 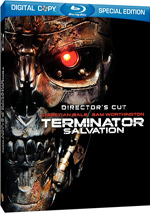 Three featurettes show up on the Blu-ray, and these start with The Cost of Killing. It runs 11 minutes, eight seconds and includes comments from director Jonathan Mostow, producers John Schwarz and Navid McIlhargey, and actors Sam Worthington, Odeya Rush, Eduald Font, Amy Landecker and Allen Leech. “Cost” looks at story/characters, cast and performances, and Mostow’s impact on the production. It offers a basic overview without much substance. The World of the Hunter lasts four minutes, 26 seconds and features Leech, Landecker, McIlhargey, Schwarz, and production designer Tomas Voth. This one looks at sets/locations, and it does so in a fairly superficial manner. Finally, Creating the Driving Force takes up three minutes, 37 seconds with remarks from Mostow, 2nd unit DP Igor Meglic, 2nd unit stunt driver Tanner Foust, and 2nd unit director Darrin Prescott. A view of stunts, it gives us minor details but doesn’t tell us much. The disc opens with ads for The Assignment, Standoff, John Wick 2, I Am Wrath and Kill Switch. No trailer for Prayer appears here. As an action-thriller, The Hunter’s Prayer provides a serviceable cinematic experience. This means it gives us a few good jolts but lacks the substance it needs to stick with the viewer. The Blu-ray brings us very positive picture and audio along with minor supplements. You can do worse than Prayer, but t remains no better than average.